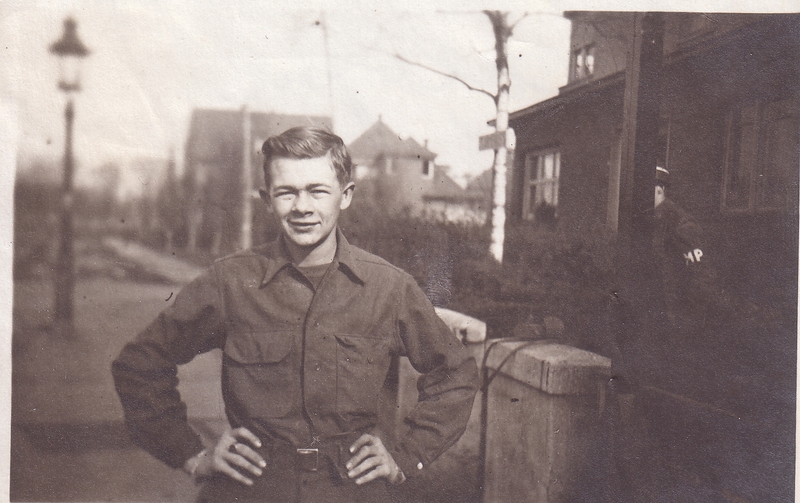 My dad was proud of military service in WW2. Before he passed away he asked me to get an honor guard for his funeral which I did when he died in 2006. The men that showed up to fire the salute and hand me the flag were professional and courteous. The squad leader gave me his condolences and the shell casings so that I could place them in the flag display case with the flag. Dad would have been proud of the Army Guardsmen who honored his service with a ceremony. I was proud of them. This is why I was shocked and angered by the idiot Wisconsin National Guard troops who thought it funny to pose around a flag-draped (empty) coffin and make weird faces and strike goofy poses. One guardsman posted the picture on Instagram and made the comment “we put the fun in funeral.” You can read about it here. It does make any difference that the coffin was empty. Their actions were disgraceful and disrespectful to veterans, living and dead. To say these adults should have known better is to understate their immaturity. Anyone who has lost someone on active duty or anyone who has ever had an honor guard would be particularly upset about their infantile behavior. I hope their comrades in the Wisconsin National Guard give this immature group the spanking they deserve. That is disgraceful! I was very lucky with my father’s funeral. I didn’t even request it, but the VFW and the Elks both came to me and requested if they perform their ceremonies – of course I said yes and then a rep from the Army stopped in. Your Guard should be publically humiliated for their childish behavior. Another thing that bothers me is that they do not seem to care. The WI Guard issued an appropriate statement but I wonder how many of the rank and file really do not get it? Thanks for stopping by! Perhaps if they were never in position to fear for their lives, they just DO NOT get it. This incident just highlights a growing problem in today’s society. The increasing use of social media has lead to a decrease in the interpersonal skills developed through face-to-face interaction. A failure to develop empathy for others is an early victim of social media along with a failure to understand that photos and emails, once the send button is pushed, live forever. We view the actions of those young soldiers as a sign of disrespect. On the other hand, you can’t disrespect others if you never developed respect for, or empathized with, others. Bruce, we old folks view the world of today’s youth from a totally different perspective. I don’t condone the actions of these youngsters but 36 years in uniform has taught me that many of today’s youth don’t share the same pride and patriotism that our parent did when they were in service. Many of today’s part-time service members are just in it for the educational benefits and the pay. Members of the “Honor Guard” earn extra pay for funeral detail and honor guard training. The State of Wisconsin formed its funeral Honor Guard program when members of WWII generation were passing away at a rate that the exceeded Active Duty’s ability to respond to all the requests for Funeral Honors. My father passed away just as the program was getting started and I was lucky enough to get the volunteer Honor Detail from the 128 ARW for his funeral. I do believe that characterizing the thoughtless actions of ONE soldier as the WISCONSIN NATIONAL GUARD BEHAVING BADLY to be overly broad and impugns the integrity casts the other 9,999. The really sad truth is the idiot has become the victim and “we” are spending tax payer dollars protecting her from social media vigilantes. Heh Paul, took me a second or two to realize it was you and I wrote the following before figuring it out: Valid and excellent points. I did not intend to discredit the entire WING. Many of them, probably most are fine young men and women, many of whom have been to Iraq and Afghanistan. The woman in question has been removed from honor guard privileges, nor did I realize the group was from other states as well. Me bad for a poor use of social media adn your kind rebuke accepted. Thanks for stopping by and writing out a well thought out reply. Yes Paul, you are quite right. It is a different generation and social media most definitely has affected common sense and interpersonal skills! Thanks old friend!